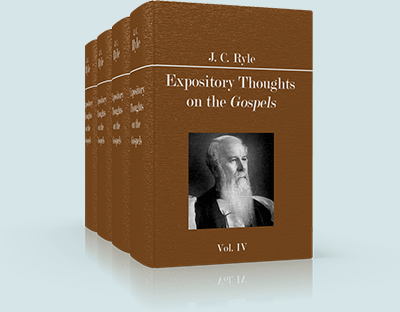 Expository Thoughts on the Gospels is a multi-volume commentary written by John Charles Ryle (1816-1900). Ryle was a writer, pastor, and evangelical preacher. It was originally published in seven thin volumes (1856-1859), and collected now as a four volume expository commentary on the Gospels, written for personal and family use. "We want more clear knowledge of Christ, as a living person, a living priest, a living physician, a living friend, a living Saviour soon about to come again. 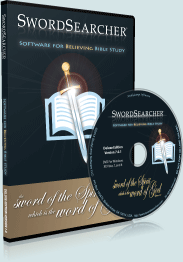 Most Christians know little of Christianity but the skeleton of doctrines — I desire never to forget those two things: if I can do anything to make Christ and the Bible more honourable in these latter days, I shall be truly thankful and content." "In the first place, I indulge the hope that the work may be found suitable for use at family prayers. The supply of works adapted for this purpose has never yet been equal to the demand. "In the next place, I cannot help hoping that the work may prove an aid to those who visit the sick and the poor. The number of persons who visit hospitals, sick-rooms, and cottages, with an earnest desire to do spiritual good, is now very great. There is reason to believe that proper books for reading on such occasions are much wanted. "Last, but not least, I trust that the work may not be found unprofitable for private reading, as a companion to the Gospels. There are not a few whose callings and engagements make it impossible for them to read large commentaries and expositions of God's Word. I have thought that such may find it helpful to their memories to have a few leading points set before their minds in connection with what they read."